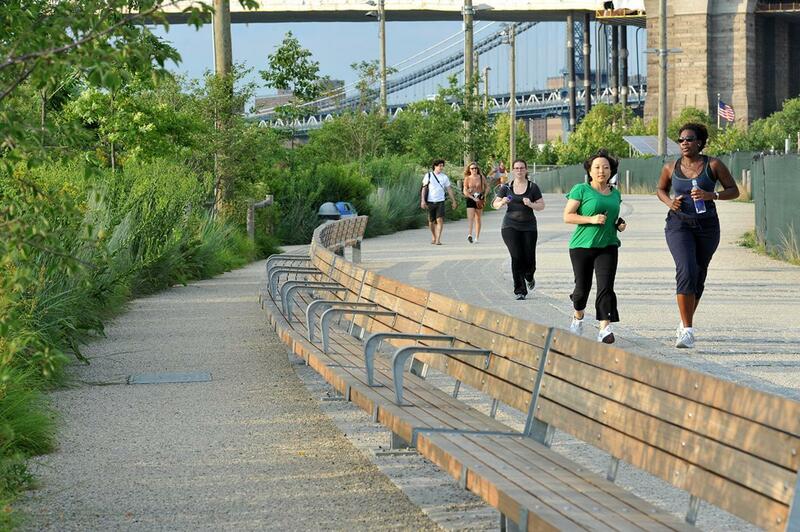 Pedal your way through the twists, turns, and dips of Brooklyn Bridge Park. A designated bikeway travels from Pier 1 to Pier 6, offering riders beautiful views and easy access to key locations and amenities. 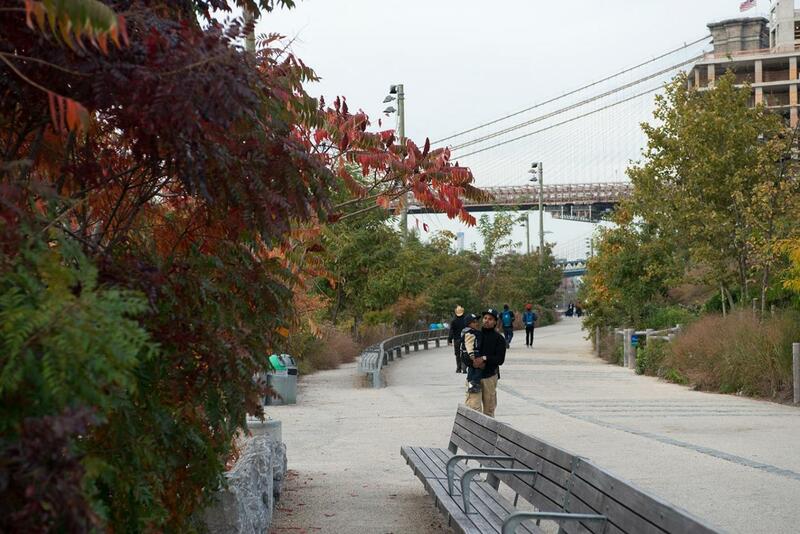 To see the entire Brooklyn Greenway route, click here. Bike routes and directions can be mapped using Ride the City on the DOT’s Bike Maps page. 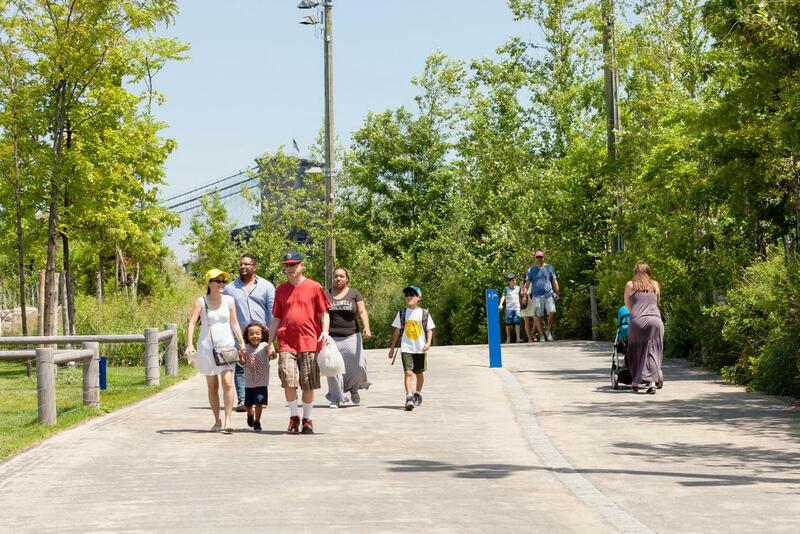 To reach the northern portion of the park (Pier 1,Main Street, Empire Fulton Ferry) type “Brooklyn Bridge Park” as your destination. 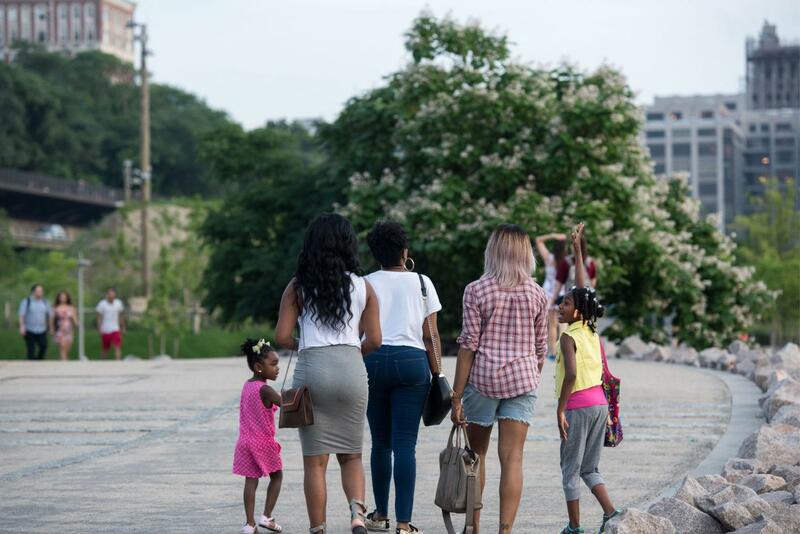 To reach Pier 6, type “Atlantic Avenue & Furman Street” as your destination.